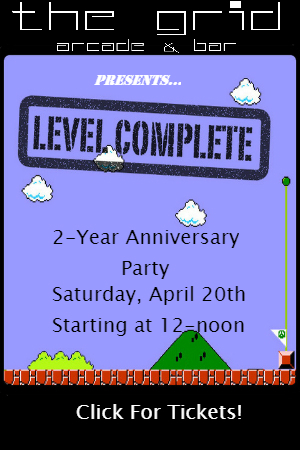 The Grid has completed Level 2 and we are now celebrating two years of business! #TheCritter, The Grid’s official mascot (and logo), invites you to help us commend this occasion. Join us on the 20th April. There will be some rare and exclusive craft beers going on tap as well as a special VIP tasting session with Two James Distillery and Blake’s Cider! April 20th from 12pm-1am…. SAVE THE DATE! There will be lots of fun swag and prizes given away throughout the day.